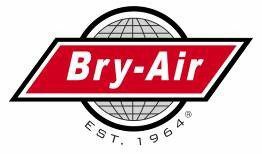 Bry-Air, Inc. environmental control systems allow for consistent control to efficiently prevent the effects of humidity on photographic materials. The manufacturing of photographic film is a process which is highly sensitive to atmospheric conditions. Both temperature and humidity conditions must be closely controlled and monitored. Light sensitive photographic film consists of a flexible support, called the base, which is coated with a gelatin emulsion containing salts of silver. The film is laminated from several different emulsions and must be dried between each application. The emulsion, which is held at a constant temperature in a liquid state, is coated onto the film or paper base and passed into the chilling chamber where it is gelled as quickly as possible at 50°F or lower. After chilling, the emulsion coated film or paper enters the drying phase. Due to the fact that film is sensitive to temperature, heat cannot be used for drying. Desiccant dehumidifiers provide cool, dry air which accelerates the safe drying of photographic films. During receiving operations, exposed film is removed from protective packaging for pre-splicing and processing. The photographic emulsions become soft and can be mechanically damaged at high humidity levels. Pre-slicing combines many individual rolls of film into a long roll to be processed. The pre-splice work area should be maintained at 40% – 50%RH and 70 – 75°F. The processing of exposed film or paper involves a series of tempered chemical and wash operations. The processed film or paper proceeds from the final wash to the dryer, which will control the moisture remaining in the product. Too little drying will cause the film to stick when wound, while too much drying will cause an undesirable curl. Drying can be regulated by the control of contact time, humidity and temperature. For small scale printing, close control of the environment may not be necessary. Computer controlled electronic printers transport original film and raw film or paper at high speeds The proper temperature and humidity are especially important because in some cases two or three images from many separate films may be superimposed onto one film. For best results, the printing room should be maintained at 40% – 50%RH and 70 – 75°F in order to prevent curling, discoloration, deformation, and static buildup. The mounting of reversal film into slides is also a critical operation of the finishing department requiring 40% – 45%RH at temperatures of 70 – 75°F. While virtually all photosensitive materials deteriorate with age, the rate is largely dependent upon the ambient conditions. Deterioration increases rapidly under high temperature and humidity levels. High humidity alone is usually more harmful than high temperatures. High humidity levels can accelerate loss of sensitivity and contrast, increase shrinkage, produce mottle, cause softening of the emulsion, and promote fungus growth. Under extremely humid conditions, film or paper should be both exposed and processed as soon as possible after the package is opened. If exposed products cannot be processed on the same day that they are exposed, they should be kept in a dehumidified cabinet or storeroom. Color films or papers should be stored at 50°F or lower. Air conditioning with relative humidity control provides the most desirable storage conditions for unprocessed products. High humidity damages gelatin, encourages the growth of mold, increases dimensional changes, accelerates the decomposition of nitrate support, and accelerates deterioration of both black-and-white and color images. Medium-term storage of photographic film is suitable for preservation for up to ten (10) years. The most satisfactory humidity and temperature levels for storage are 30% – 40%RH at 68 – 77°F. 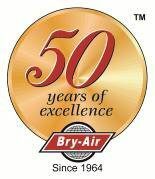 A desiccant dehumidifier with cooling coils is the most efficient and economical means of accomplishing the desired conditions. The archival storage of records on film also requires environmental control of about 15% – 30%RH at temperatures below 70°F. Proper preservation of photographic materials is complicated because each of the phases is controlled by a separate group. The composition of the film or paper is controlled by the manufacturer, the processing by the processing laboratory, and the storage conditions by the customer. The importance of environmental control in all three phases must be recognized by all in order to assure a high quality final product.